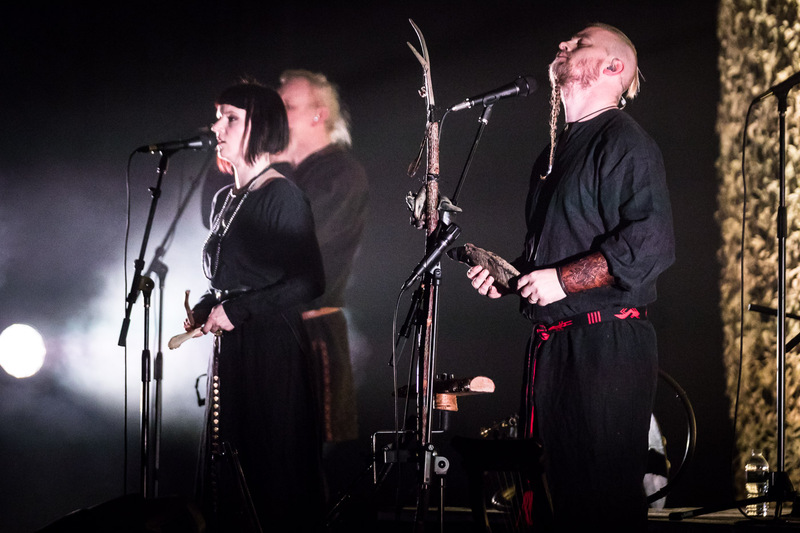 I learned about Norwegian band Wardruna simply by the stroke of luck that I would be photographing them for Live Nation NYC. 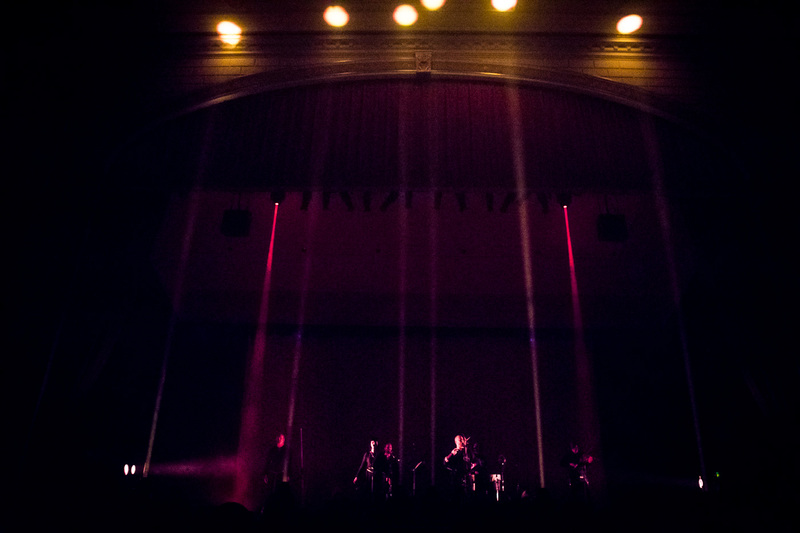 I found out about their NYC show at The Town Hall on February 3, 2018 with enough time to listen to them (first time hearing the band) on WNYC/NPR’s Soundcheck series. 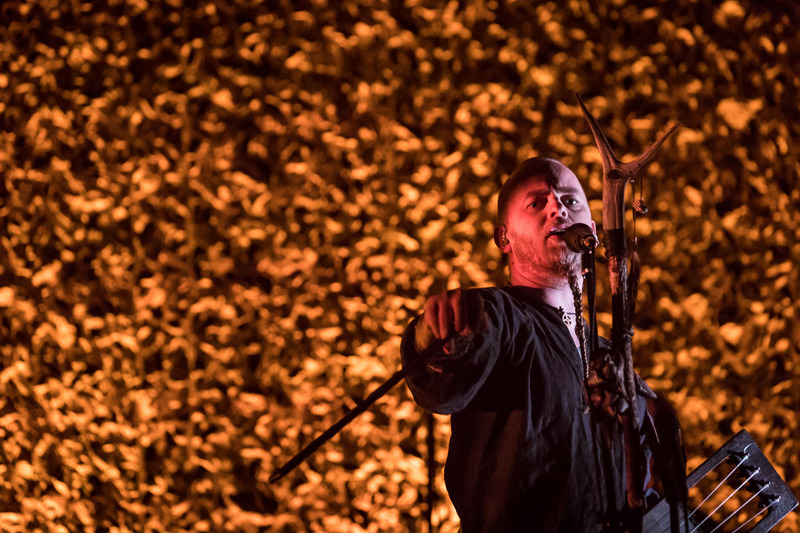 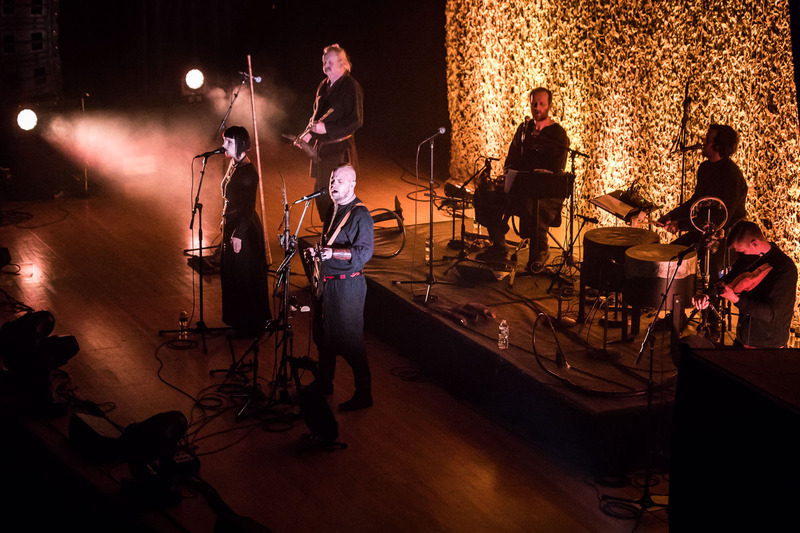 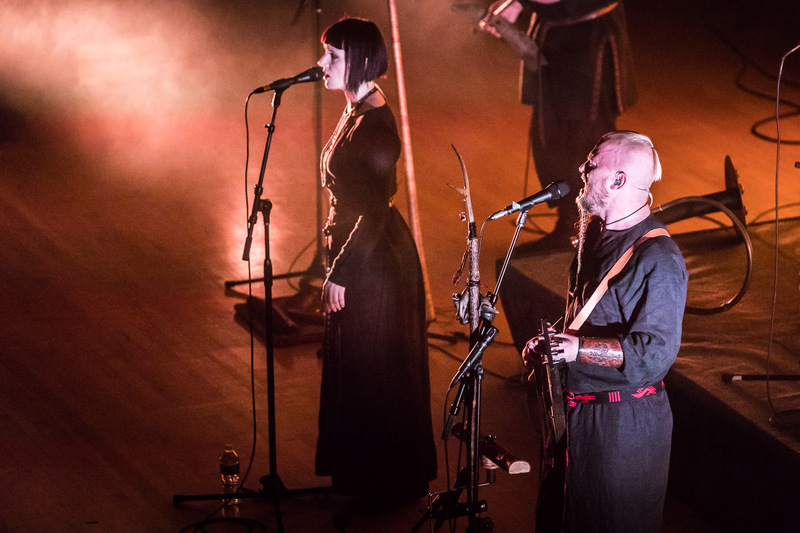 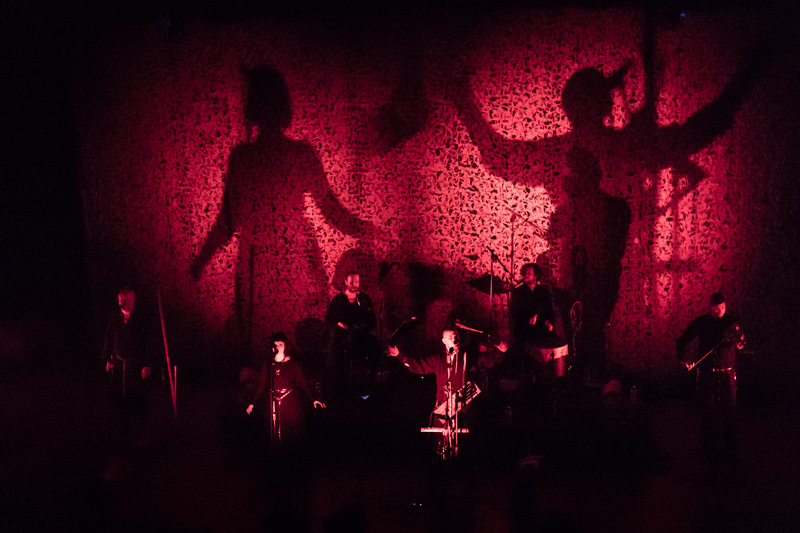 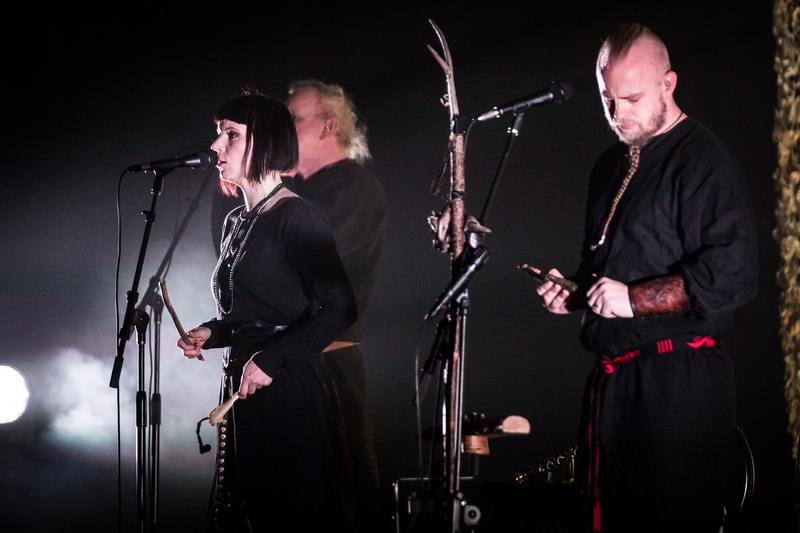 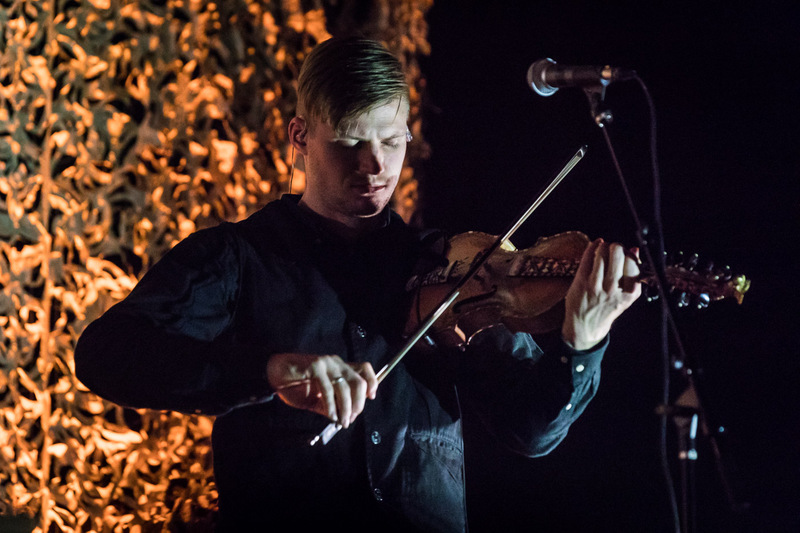 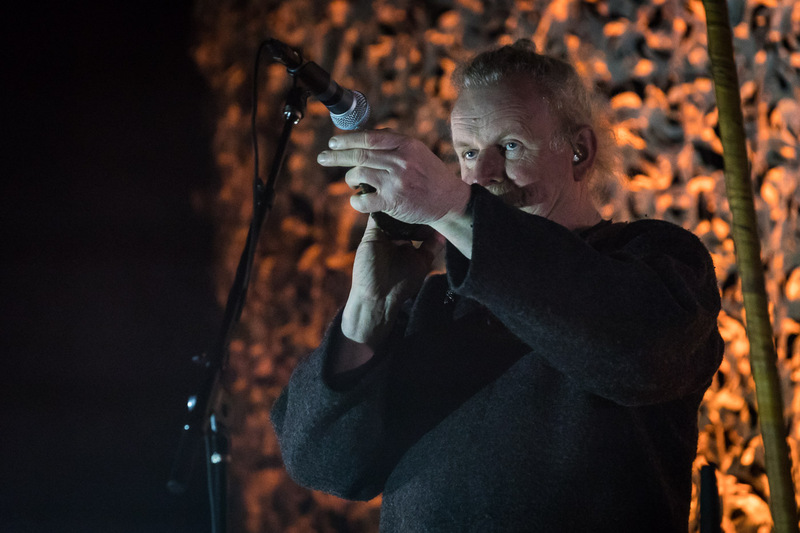 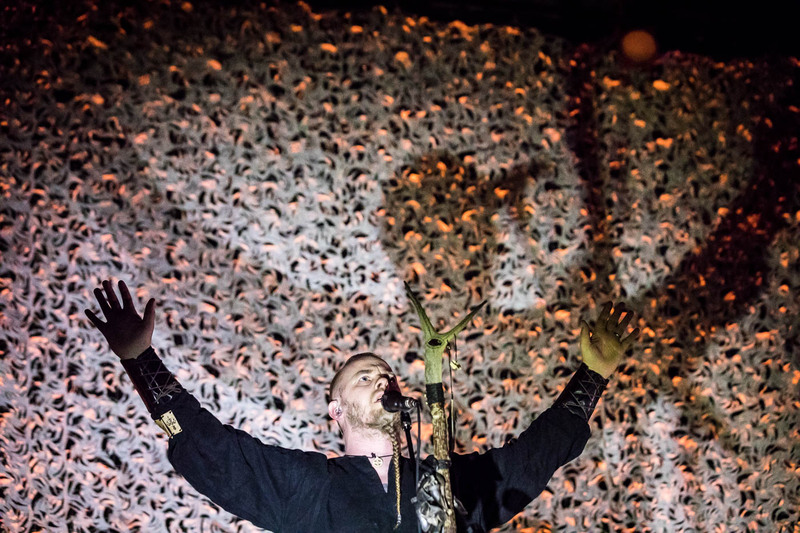 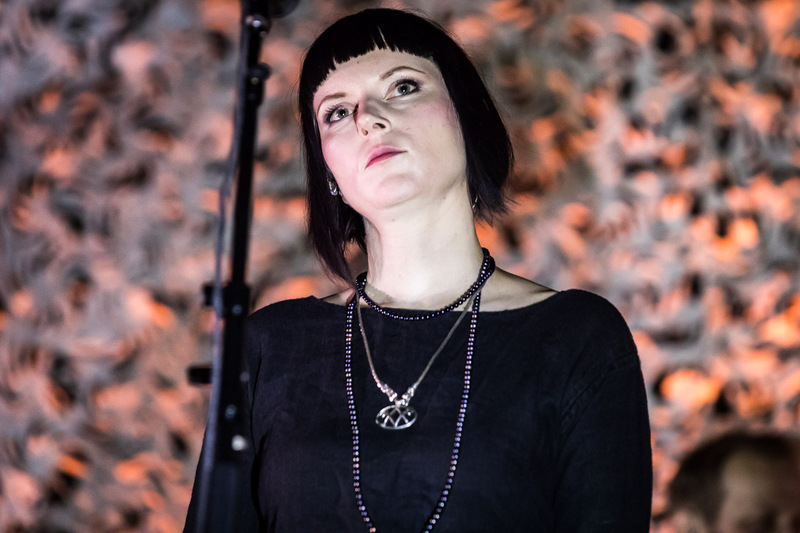 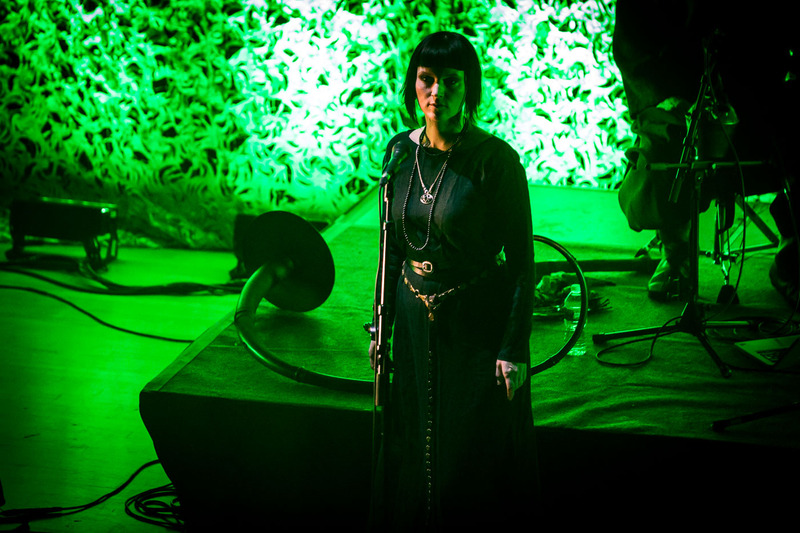 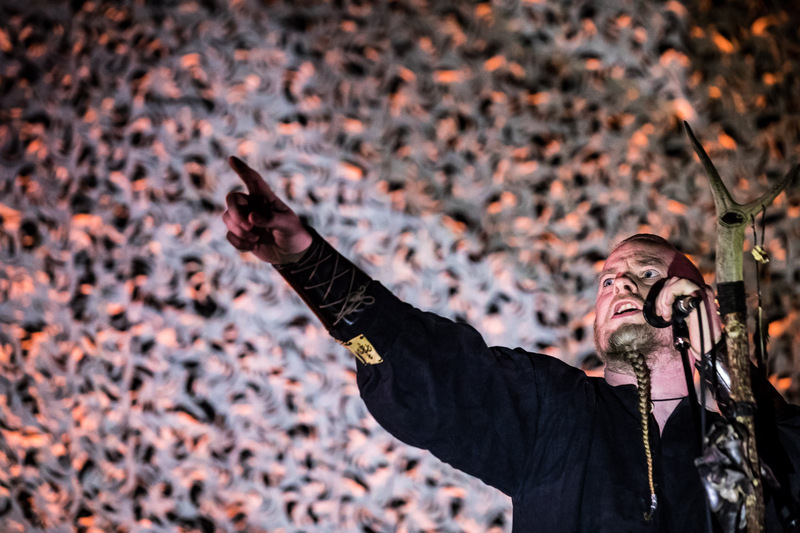 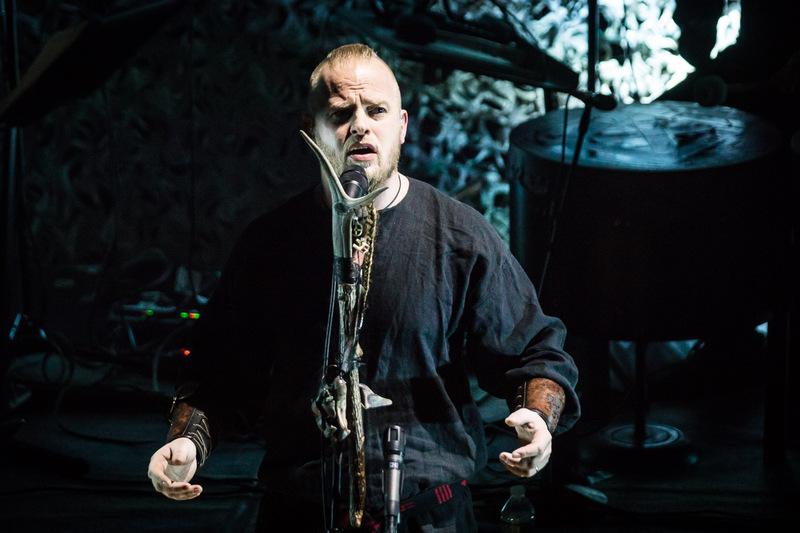 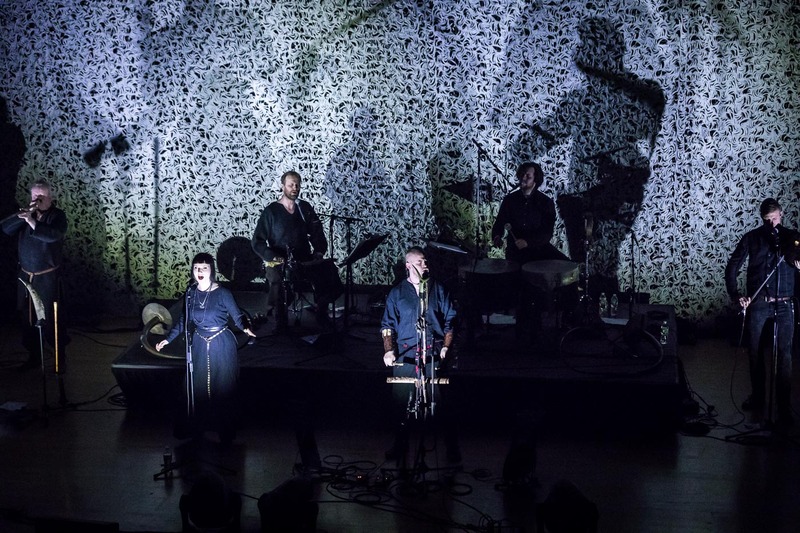 Norwegian band Wardruna creates music born of Nordic history, Norse runes and nature – and is led by multi-instrumentalist and songwriter Einar Selvik, who currently composes music for the TV series Vikings. 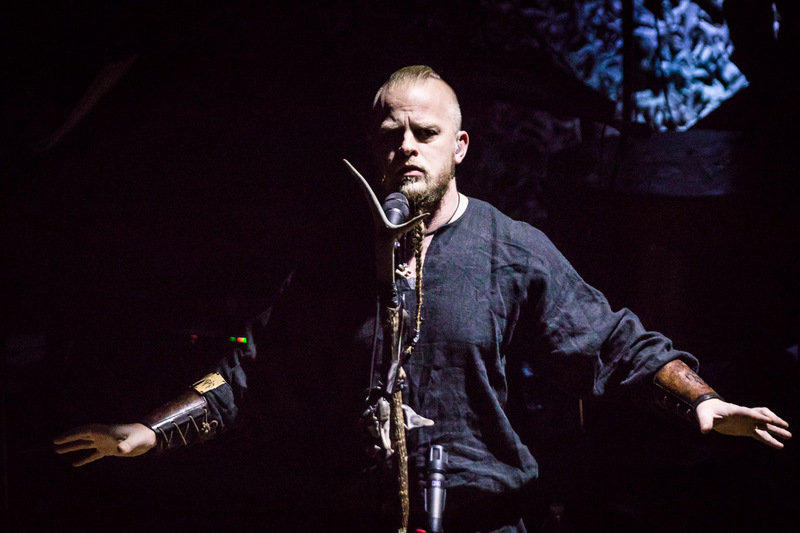 (He was formerly the drummer in the black metal band Gorgoroth under stage name Kvitrafn, for those keeping track.) 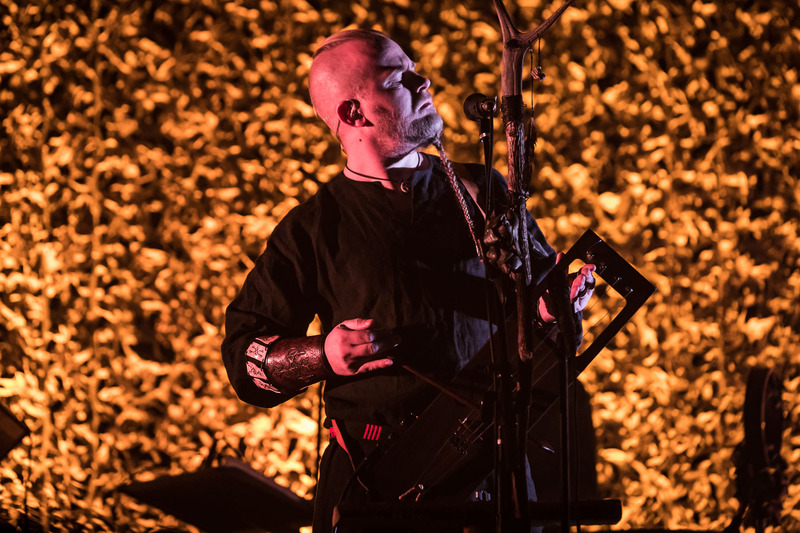 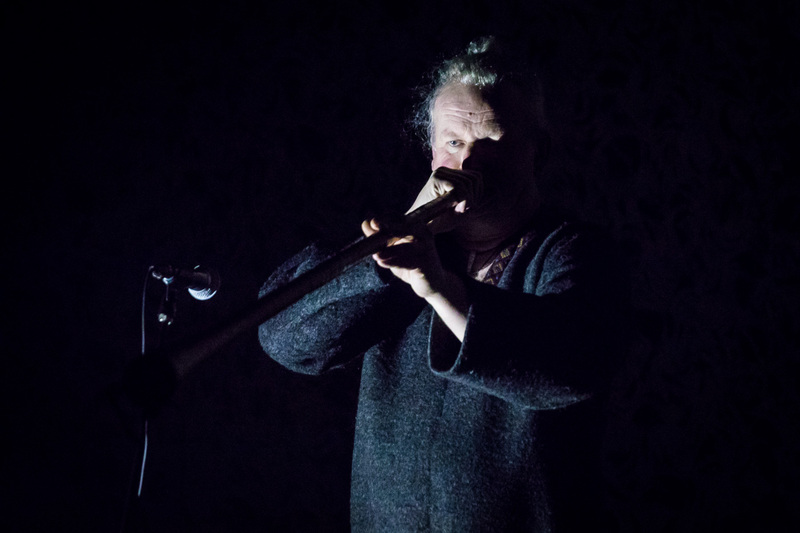 Hear a captivating combination of old and recreated Norse historical instruments: Tagelharpa (bowed harp-lyre), birchbark lure (a trumpet), goat horns), Kraviklyra, instruments from nature: stones, bones, trees, fire and ice, along with sounds captured in nature, vocal techniques of many kinds, and ancient poetry. 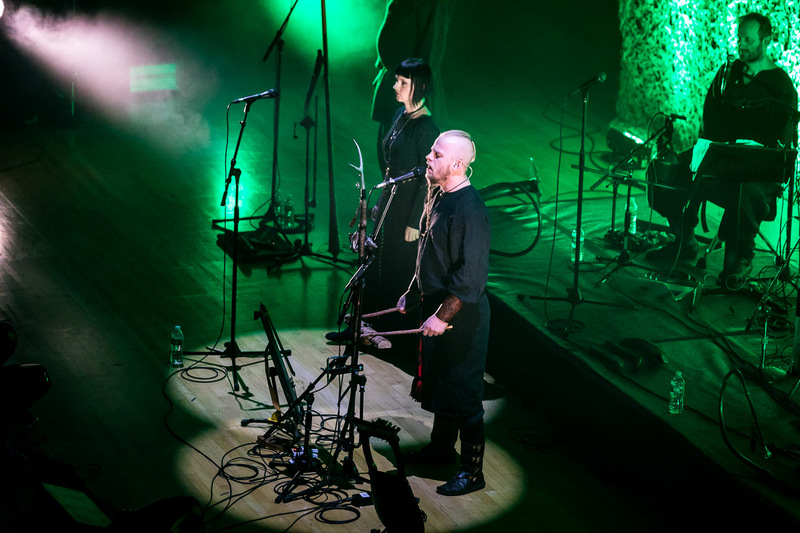 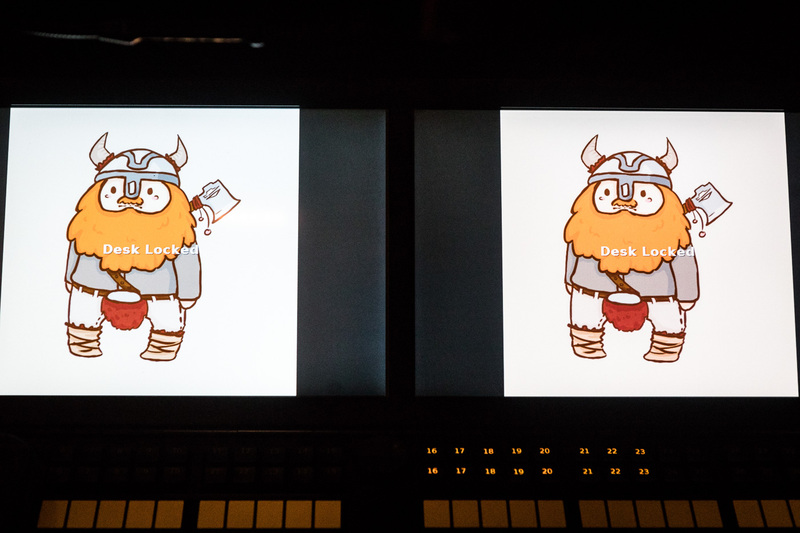 The latest record, Runaljod – Ragnarok, is the third of a trilogy of musical interpretations of each of the twenty-four old Nordic runes (the word rune can also mean magical song). 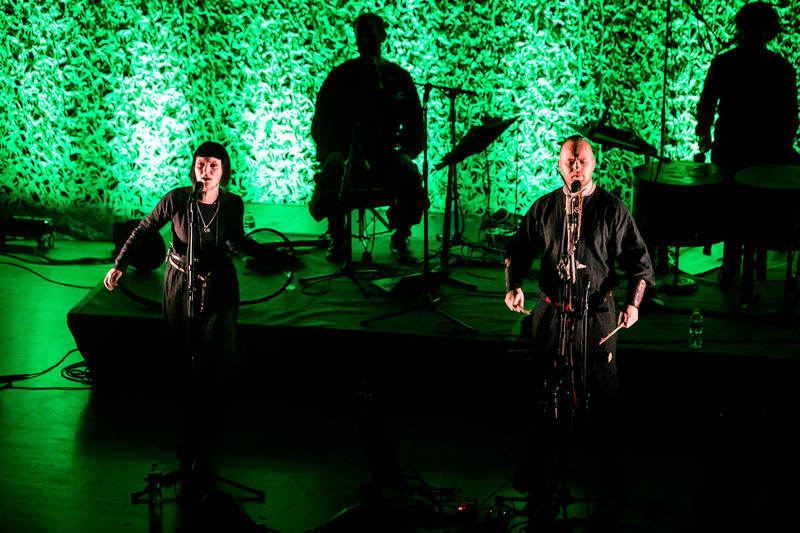 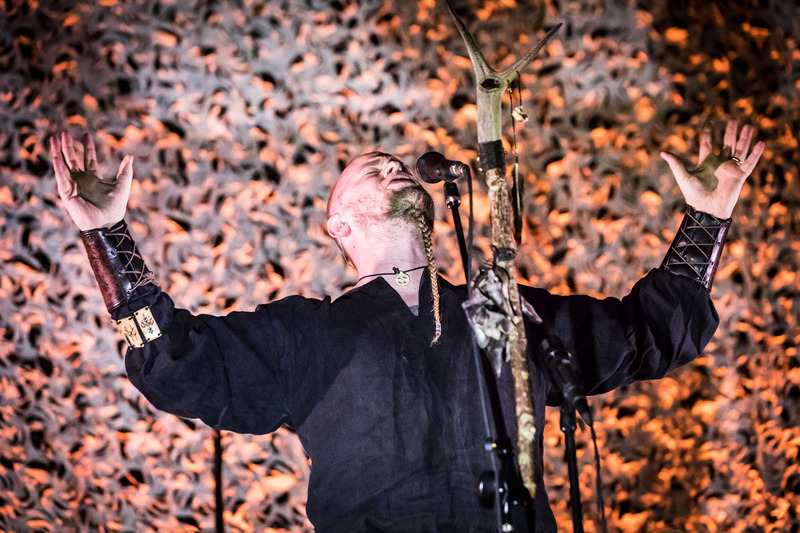 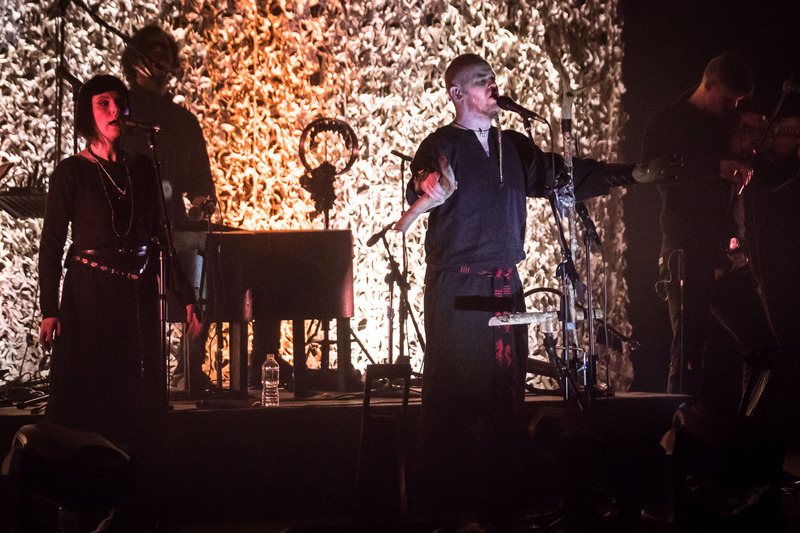 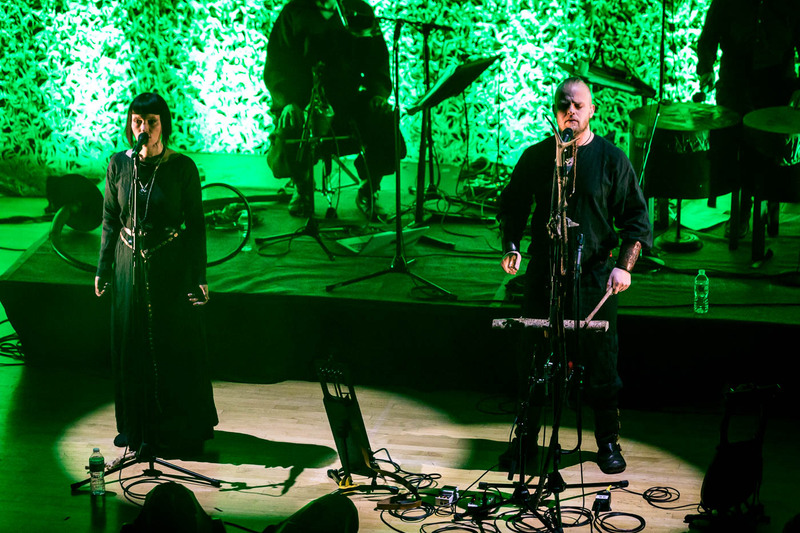 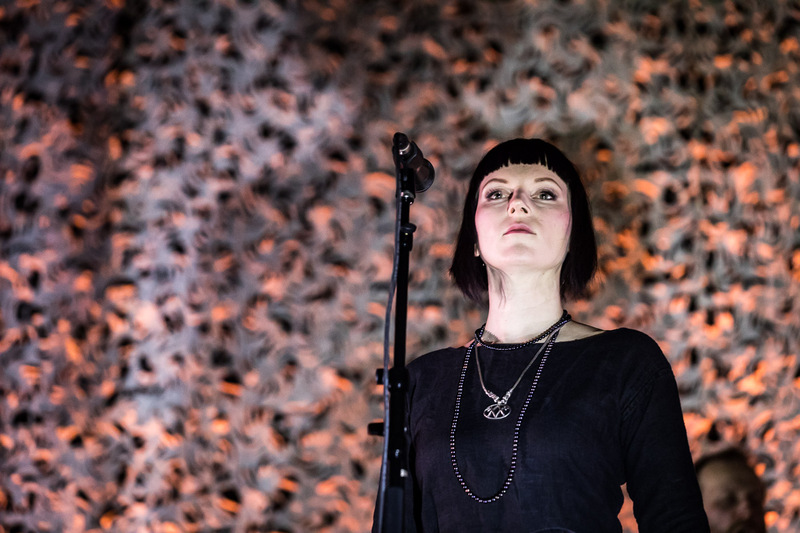 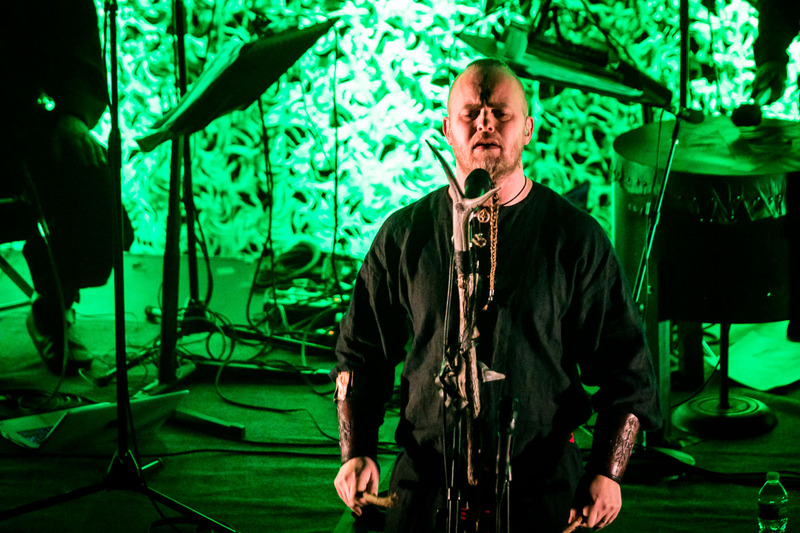 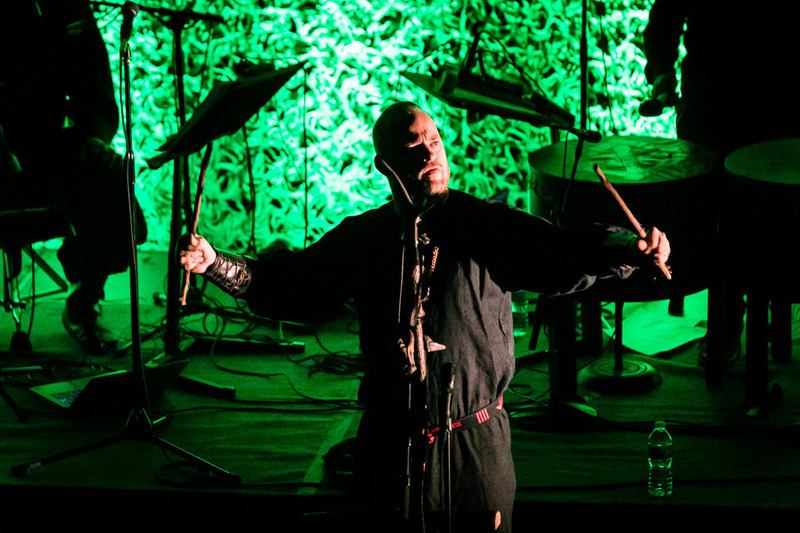 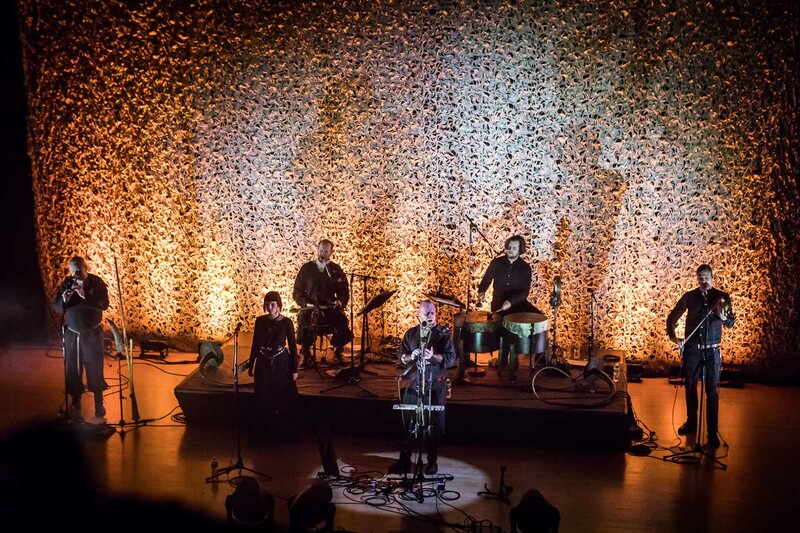 Wardruna performs some of their unusual, spiritual, ancient sounding-modern ritual music in the studio. 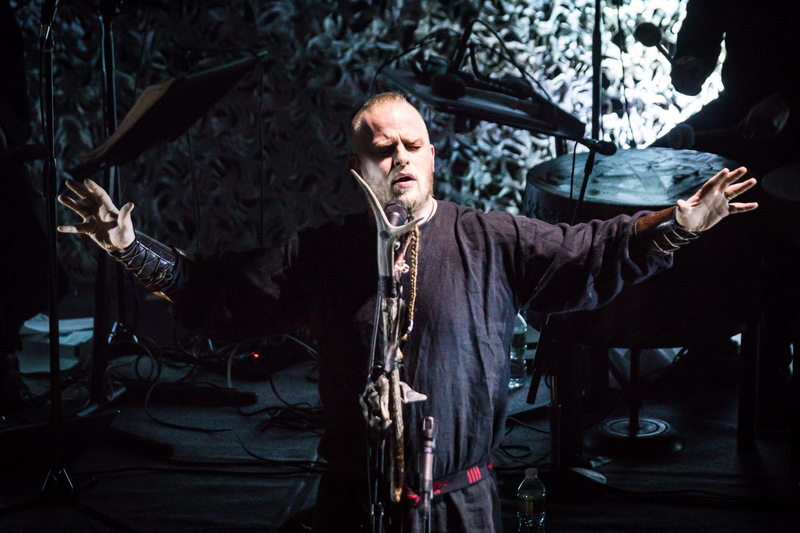 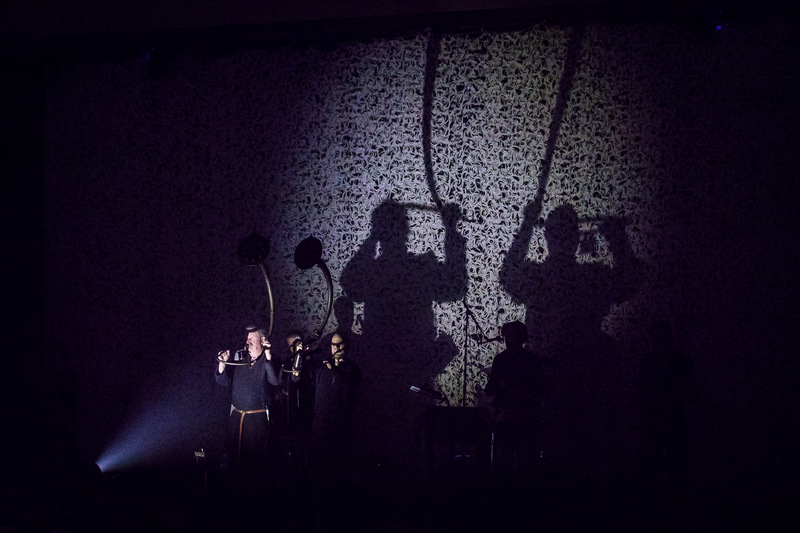 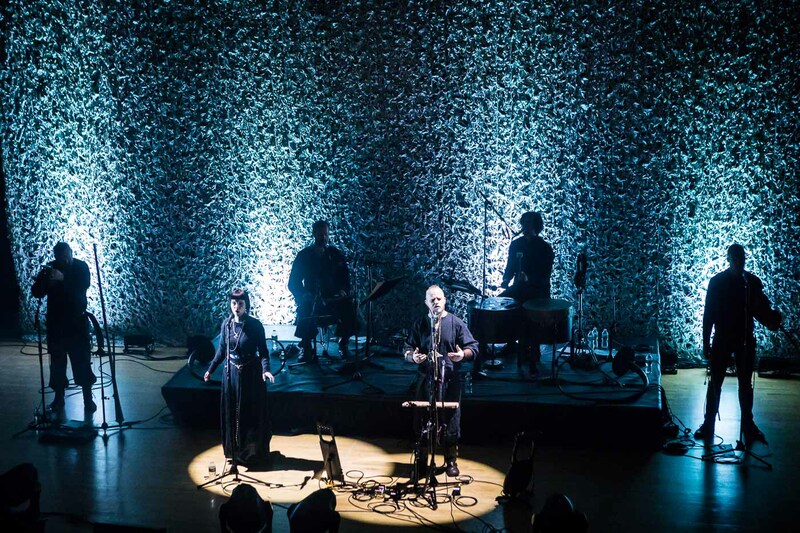 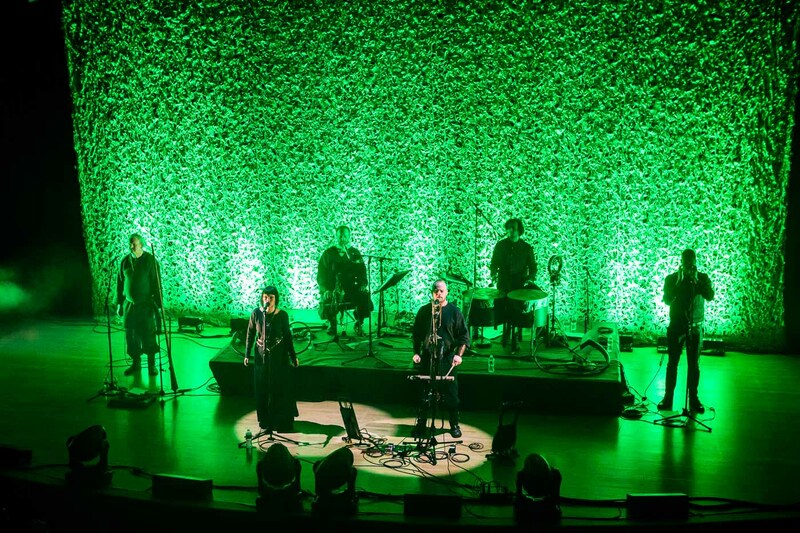 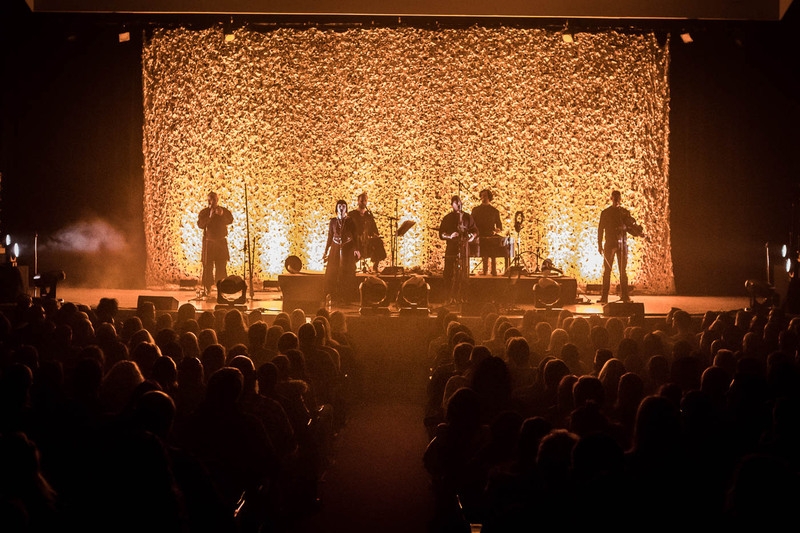 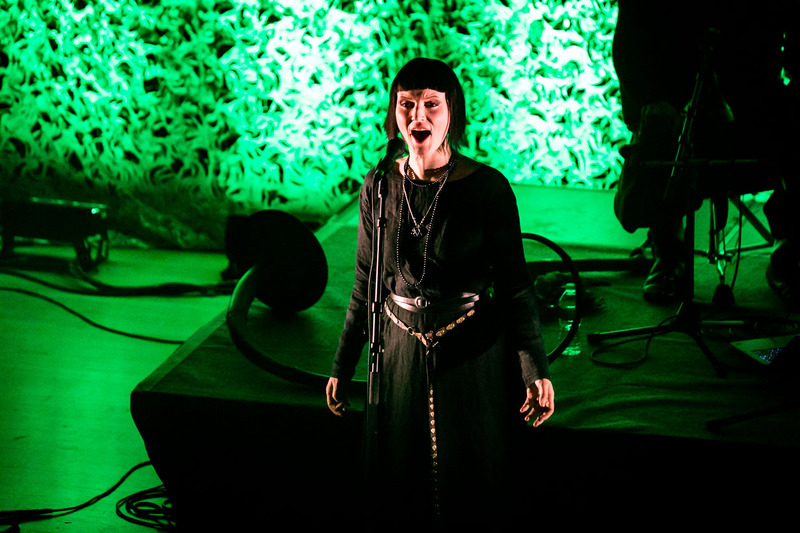 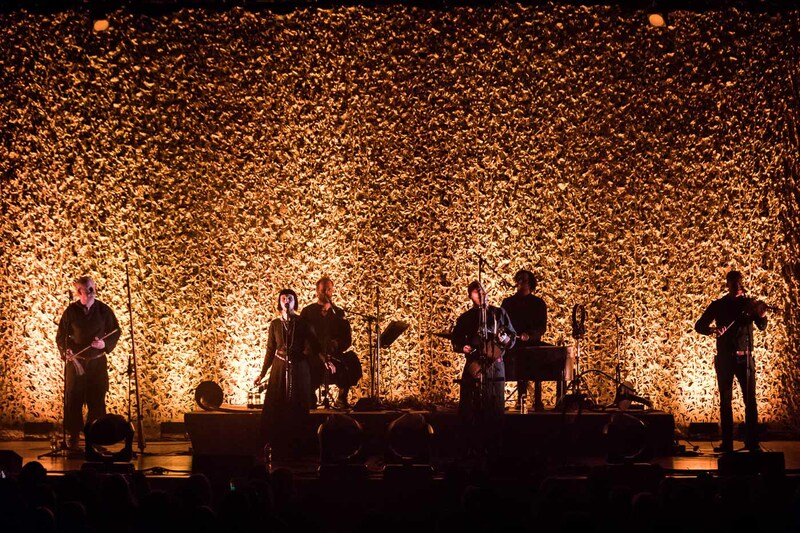 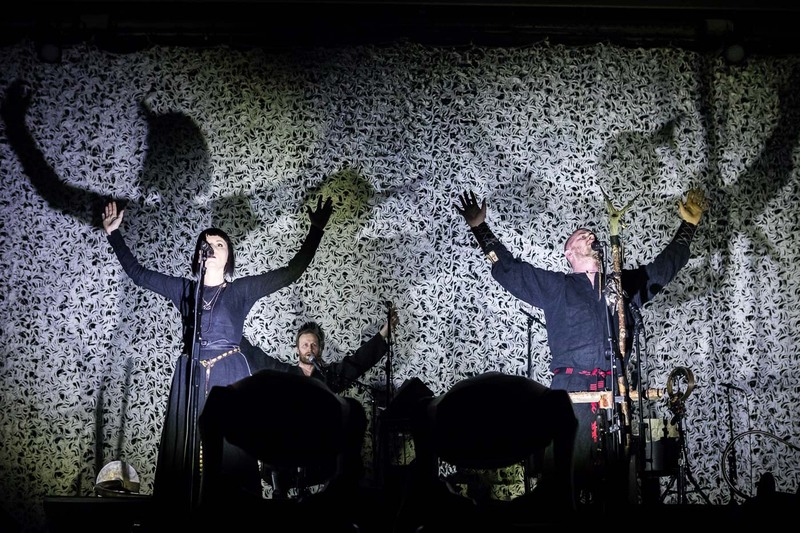 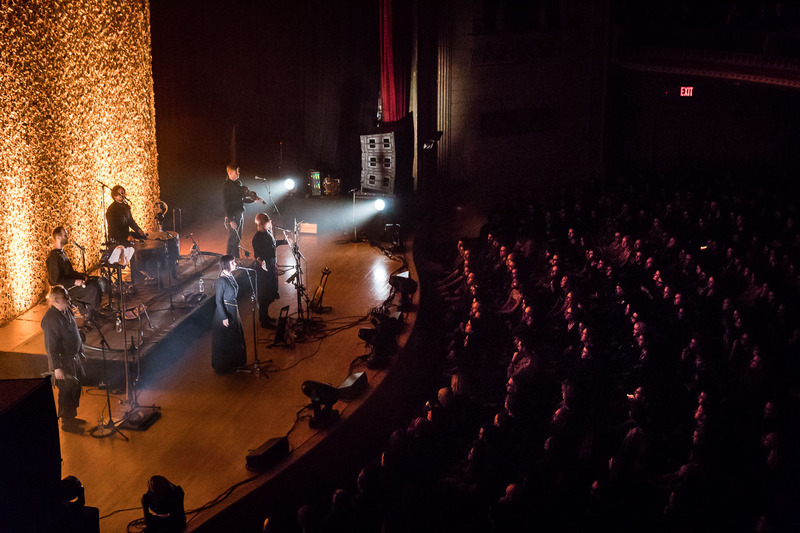 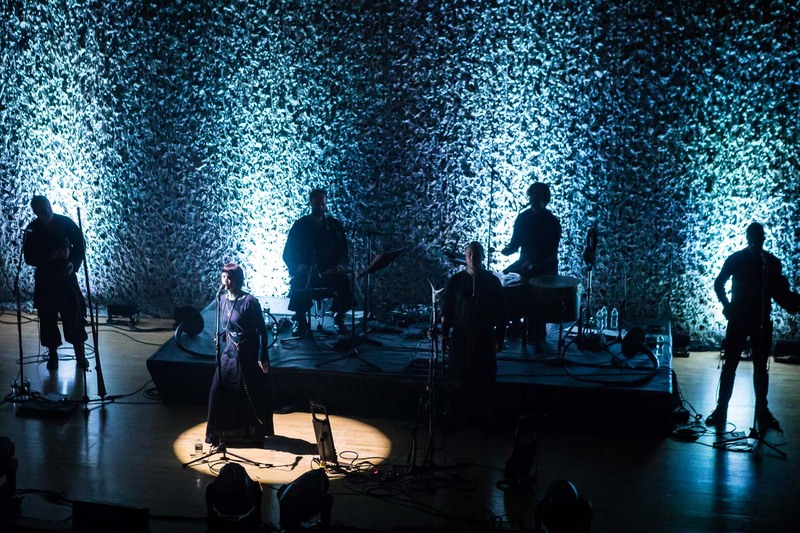 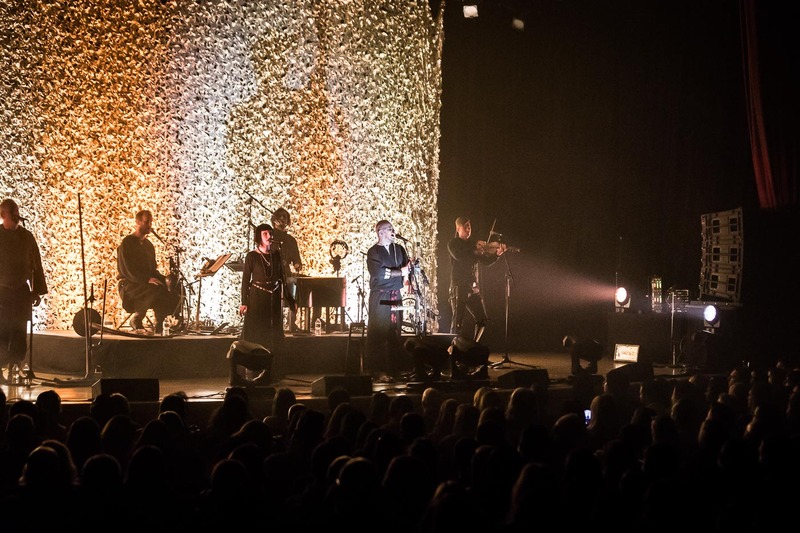 This entry was posted in concert, photography and tagged the town hall, town hall nyc, wardruna.